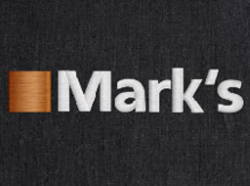 (Marks.com) Mark’s Canada sells men's and women’s casual clothing, as well as work wear for construction and scrubs. Mark’s often has online coupon codes that allow you to save as well as print coupons in their flyers. Shop men's and women's clearance items now at Marks.com! Sign up for the Marks newsletter for the latest updates on new arrivals, sales, and more. Find huge savings on clothing, shoes and accessories for men and women in Mark's weekly flyer. Spend more and save more. Order online at Marks.com to get your items shipped for free when you spend $99. Save over 30% on clearance Dakota work shirts when you shop at Marks.com! Shop men's clearance outerwear for huge savings! Stay cozy with a new pair of sleepwear for women when you buy at Mark's.